Hey Newfoundland and Labrador – What’s in Your Drawers? St. John’s – April 16, 2014 – Recycle My Cell, Canada’s free cell phone recycling program, announced today that registration for the “What’s in Your Drawers Community Challenge” is officially open for community groups and non-profits throughout Newfoundland and Labrador. Building on the success of the annual Recycle My Cell Student Challenge and the commitment shown by the students of Newfoundland and Labrador, Recycle My Cell is bringing this new Community Challenge exclusively to the province and is calling on all community groups to clean out their junk drawers and recycle as many unused cell phones as they can between April 16 and May 16. The group or non-profit that collects the most cell phones will receive a prize of $500. All non-profit or community organizations located within Newfoundland and Labrador are eligible to participate. Recycle My Cell will ensure an account is established with the recycling processor for all registered participants so that the number of devices collected can be tracked. Pre-paid mailing labels to ship the collected phones will be provided by Recycle My Cell, so there is no cost to any participating organization. Recycle My Cell was created and is maintained by the Canadian Wireless Telecommunications Association (CWTA) in conjunction with cell phone carriers and handset manufacturers who have come together to raise awareness about the importance of cell phone recycling. The program’s partners include: Bell, BlackBerry, Eastlink, GEEP Inc., GREENTEC, LG Electronics Canada, Inc., Lynx Mobility, MTS, Nokia, ProMobility, Rogers Communications, Samsung Electronics Canada Inc., SaskTel, Sims Recycling Solutions, Sony of Canada, Tbaytel, TELUS, Videotron, and Virgin Mobile Canada. 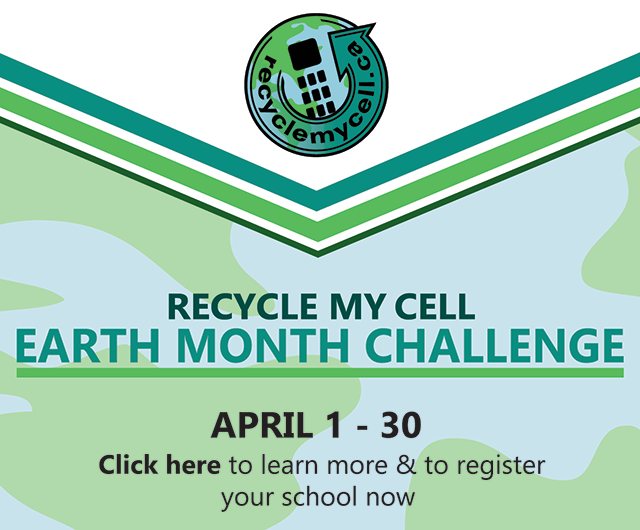 Organizations that wish to participate in the Community Challenge should visit https://www.recyclemycell.ca/nlchallenge2014/ for registration and complete Challenge rules. Recycle My Cell representatives can also be contacted by e-mail at info@recyclemycell.ca, or toll-free at 1-888-797-1740.